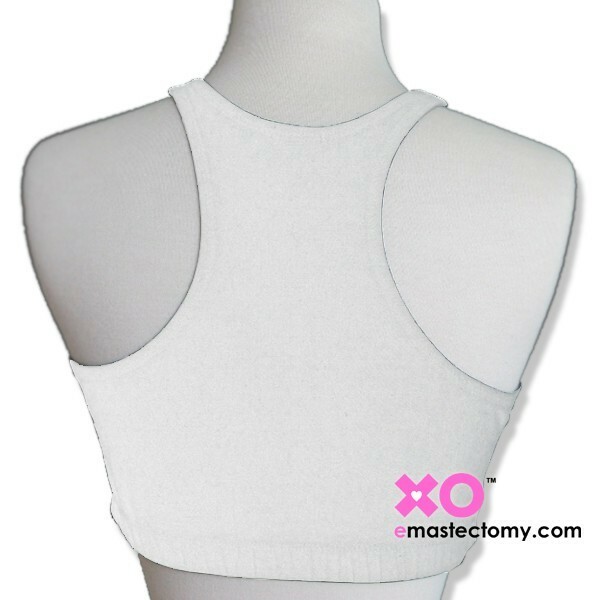 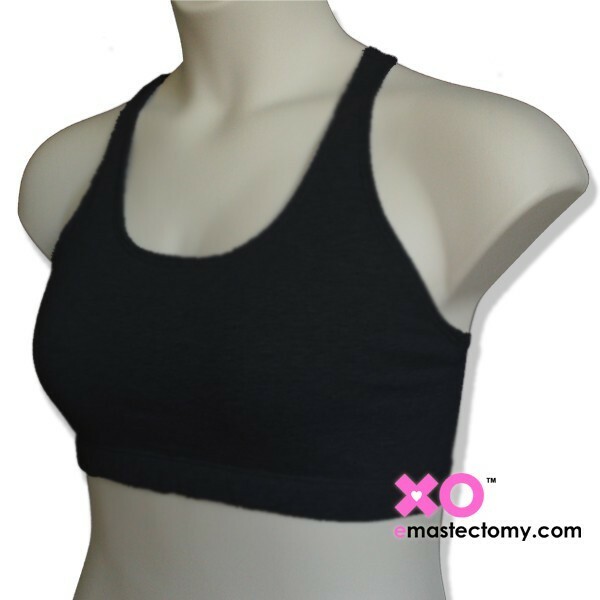 LuisaLuisa pocketed mastectomy exercise bra. 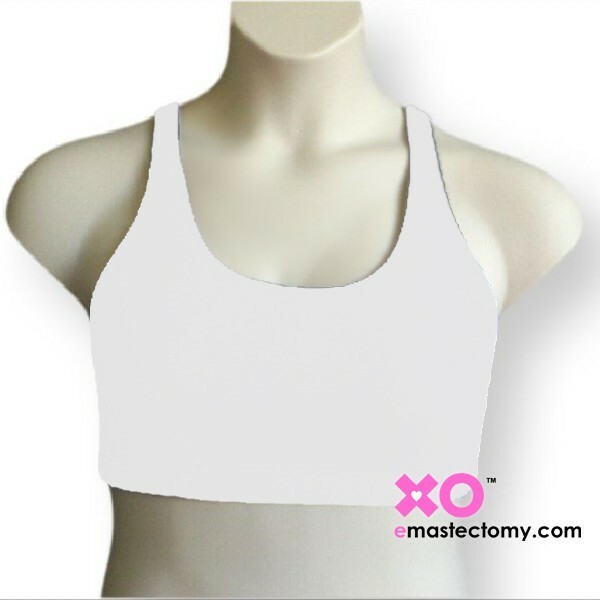 Finally a sports bra with pockets holding your breast form securely in place. 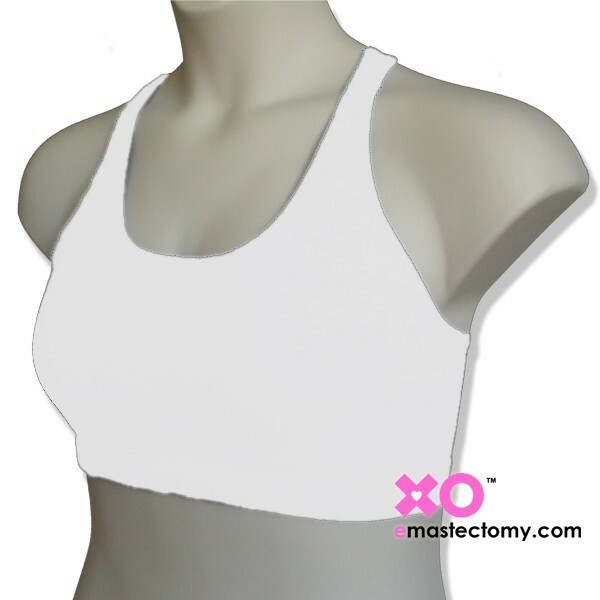 Higher neckline and armholes for more coverage. 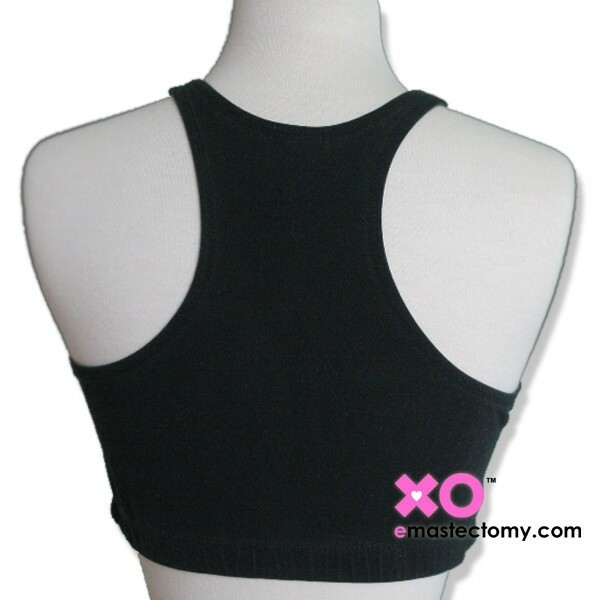 Racer back! 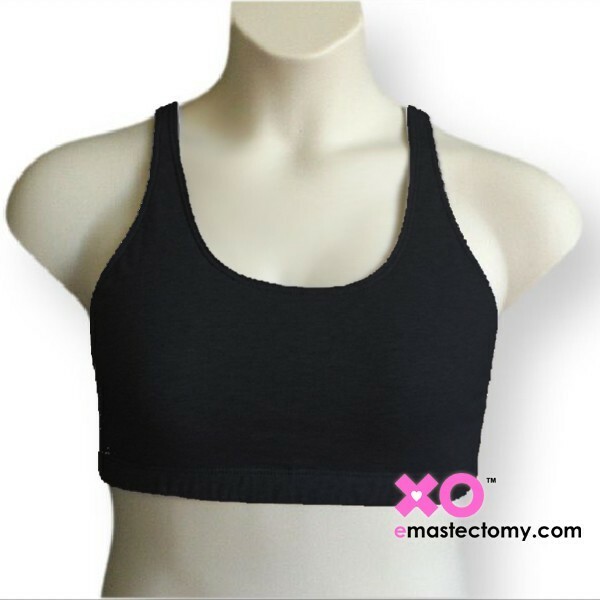 The only item in LuisaLuisa's collection you need to pull over your head. 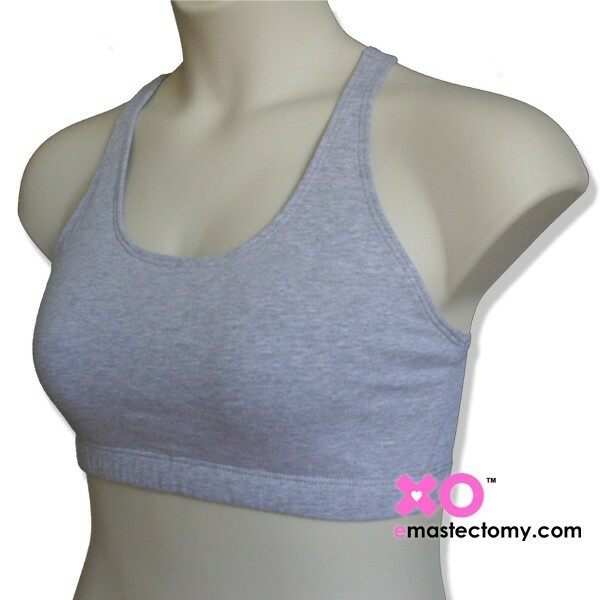 Very comfortabe mastectomy leisure bra for the non-exercise!